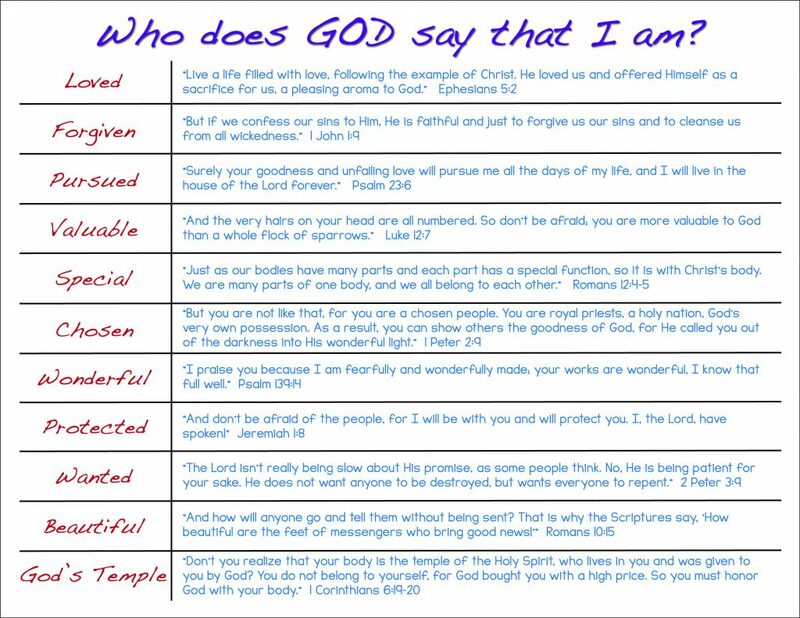 Lies of the Enemy Series: Who does God say we are? The enemy doesn’t want us uncovering his lies. Every uncovered deceit brings us closer to the Lord. He doesn’t want it happening! From his temptation of Eve in Genesis 3:1, “Now the serpent was more crafty than any other beast of the field that the LORD God had made. He said to the woman, ‘Did God say, You shall not eat of any tree in the garden’?” to his attempted temptation of Jesus in the desert in Matthew 4:1-11 and Luke 4:1-13, his primary goal was to pull them away from God, to pull US away from God. He may have succeeded with Eve, but Jesus had something on his side Eve didn’t. And no, I don’t mean He was God, although I believe this truth. He had the word of God in his heart and mind. Jesus is God, and He WAS human too. Being human is something I understand well, far too well. I’m guessing you do too. My human reactions and responses never lead me straight to God’s word. They lead me right into Satan’s deception. But I’ve spent far too long in that place. I am tired of listening to the lies of the enemy. I want to recognize and believe God’s truth. Are you tired of doing the same, my friend? Are you tired of believing those horrible things the enemy whispers in your ear? 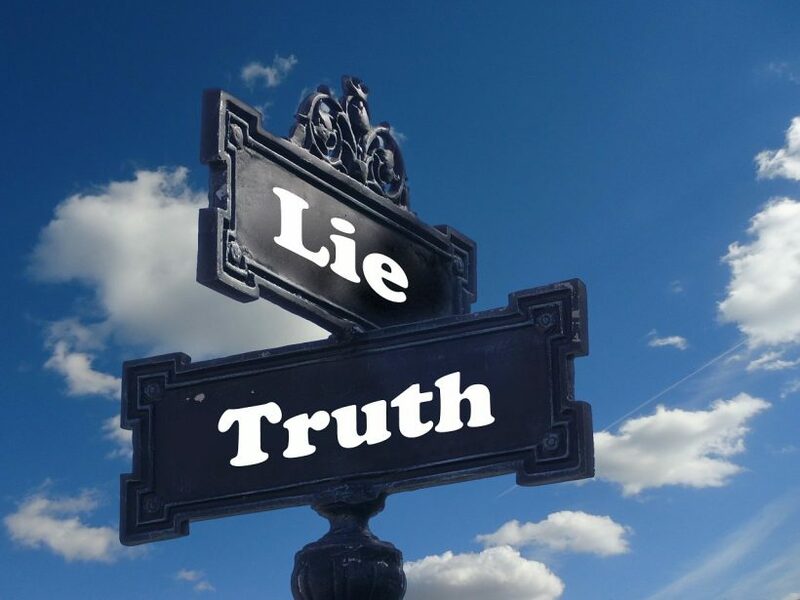 If we have God’s truth readily available, we are better equipped to protect ourselves from Satan’s lies. My kids came home from Sunday School one day with this chart. I couldn’t find the name of the person who created it, but I am excited to meet them one day. On far too many days, we’ve had tears over lies the enemy tells us, but we can walk to our refrigerator to see this chart. These are our identities, my friends. Let’s walk in the truth of God’s word. Let’s revel in who the Lord made us to be. It isn’t easy to shift from one extreme to the other, but it isn’t impossible either. I am proof, my friend. My challenge for us is to pick two of these descriptors and tell ourselves it who we are! Let’s memorize the scripture that supports each one, so when the enemy whispers his lies, we can be like Jesus in the desert and counter them with God’s truth. Please let me know in the comments below which of the two truths you choose. I’d love to encourage you and pray for you as you move toward God’s truth in your life. Want the read more of this series?